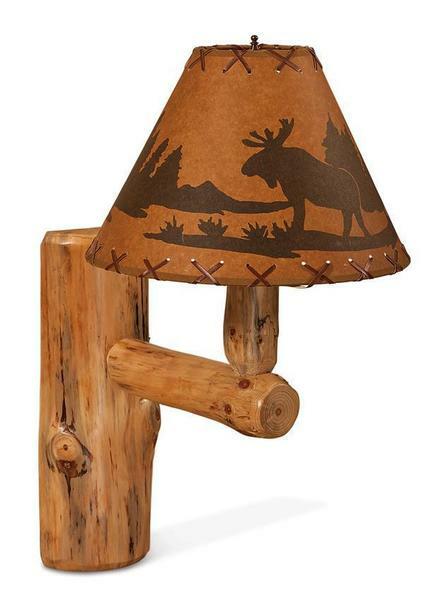 This Amish Rustic Wood Wall Light will add a rustic touch to any room. Choose from three beautiful wood types including, rustic pine, red cedar, or aspen wood, each with its own set of unique characteristics. The lamp shade shown can either be included with your purchase or without so you can use a lamp shade of your choice. Powered by a standard wall plug, you can also wire through the wall to eliminate the hanging cord. If planning to wire your lamp through the wall, we recommend hiring a licensed electrician. For additional information or custom ordering assistance, contact one of our knowledgeable sales associates. 6" x 13" x 26"